I have South Korea on the brain this weekend. It was there, four years ago yesterday, that we became a family of four. Our second international adoption process was longer and more emotionally taxing than the first. But the two trips we took to Seoul in December 2013 and February 2014 are cherished memories. The emotional bookends, of course, were meeting our youngest son during the first trip and welcoming him into our family for good during the second trip. But it was also a great joy to bring our oldest son, then five, back to the country of his birth. Making two trips wasn’t the original plan, but the upside was more time to explore Seoul while waiting for things to happen (a recurring theme with international adoption). We even spent Christmas there. While we didn’t make it back to South Korea for the 2018 Winter Olympics, as I had once daydreamed about, it’s been wonderful to see the spotlight on the Korean peninsula for something positive this weekend. We spent today at Brown University, which hosts a Korean adoptee mentoring program that we’ve been participating in for several years. 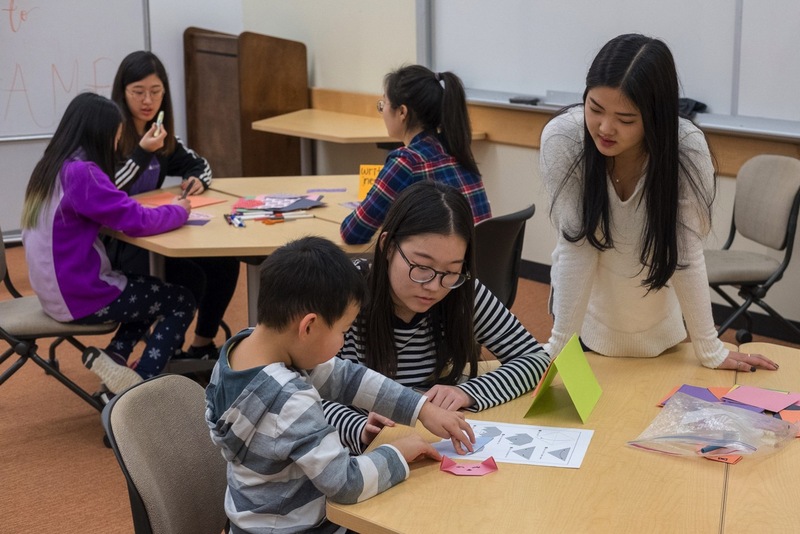 Korean and Korean-American student mentors are paired up with Korean adoptees for cultural activities and more than a little goofing around. We work hard to make Korean culture part of our family on an ongoing basis, but sometimes there is no substitute for being showered with attention by a bunch of people who look like you. We capped off the weekend with a dinner of homemade tteokguk soup, a Korean New Year tradition. We’re five days early, but the Asian market was on the way home, and our nine-year-old is short on patience.